Just as we have competing teams working out their plans to cross the Atlantic on electrically-powered wings, several projects are aiming high, attempting to reach altitudes normally achieved only by SR-71 pilots. With balloon jumps topping 130,000 feet and the Perlan Project in final stages of construction for test flights early next year, the latest entrant in stratosphere-busting climbs will attempt the mission on batteries and solar power. 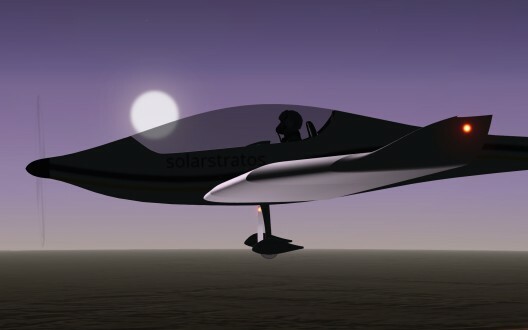 Raphael Domjan, a self-described “eco-adventurer” and founder of Mission SolarStratos, will attempt by 2017 to top 80,000 feet in a two-seat, twin-motored craft designed and built by Calin Gologan and his PC-Aero team. The airplane, a long-winged derivation of Gologan’s Elektra Two Solar, will rely on recent developments between Gologan and his American Partner, George Bye. They’ve formed the American Electric Aircraft Corporation, dedicated to building, testing and certifying a two-seat trainer. Solar Stratos has a 24.4-meter (80.8 feet) wing, 7.4 meters (9.84 feet) longer than that on the longest-span Elektra Two. Somehow, PC-Aero has managed to add only 50 kilograms (110 pounds) to the Elektra’s 350 kilogram (770 pound) maximum takeoff weight for the larger craft. Part of this may come from Solar Stratus’ short conventional gear, which replaces the retractable system on the Elektra Two. Additional area for solar cells will allow the airplane to fly on solar power alone at its maximum altitude, necessary because the energy needed five-hour climb to maximum altitude will probably drain the 80 kilograms (176 pounds) of lithium-ion batteries on board. Domjan hopes to take others aloft to see the stars at noon and the curvature of the earth’s horizon, but passengers will have to be hardy souls willing to train for the serious business of wearing a lightweight pressure suit, the airplane’s own light weight not allowing pressurization. Solar Stratos might benefit from the Perlan Project’s experiences with loaned NASA space suits. 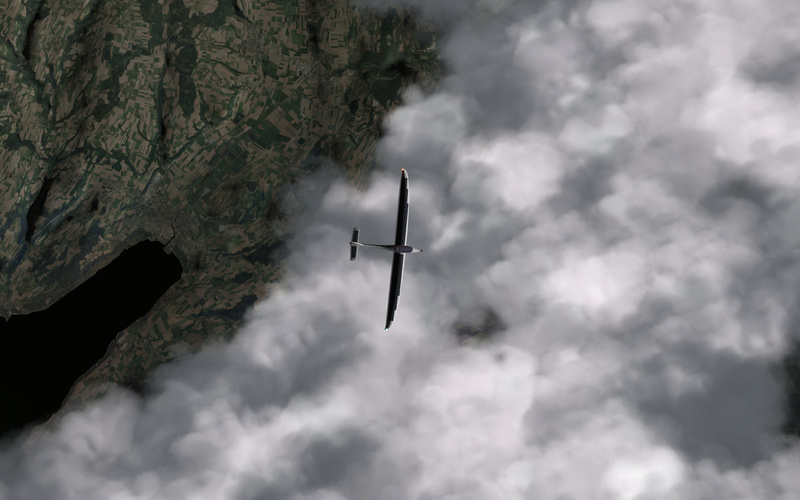 Einar Enevoldson and Steve Fossett had issues even going to their 50,671 foot altitude record in 2006. Domjan is in training himself, according to this week’s Solar Stratos press release, working out in free-fall sessions at Realfly in Sion, Switzerland and presumably with jumps from altitude. Geraldine Fasnacht, heading up security for the SolarStrator and Realfly teams, has assisted in training and preparations for the long flights ahead. Making “dozens of jumps in the space of a few months, Domjan has also tested biomedical telemetry systems developed by the Swiss Centre for Electronics and Microtechnology (CSEM), while in simulated free fall at Realfly. With construction of SolarStratos starting soon, Domjan can look forward to test flights by 2016 and by 2017 attaining “an altitude of around 80,000 feet (over 24 kilometers or 14.88 miles), where temperatures of about -70 ° C prevail.” By 2018, the team hopes to start commercial flights to altitude. Domjan and his team look next to “open a door” on solar electric flight and near-space commercial trips for passengers and scientists. Jean Verne, the grandson of Jules Verne, and Marie-Vincente Latécoère (from the Pierre-Georges Latécoère Foundation) support the project. Domjan’s ecologically-inspired adventurous spirit conquered the world’s oceans between September 2010 and May 2012 as he and a five-man crew sailed around the world using the energy generated by 500 square meters (5,382 square feet) of solar cells to power PlanetSolar, the world’s largest solar-powered boat. He hopes to inspire others with his environmentally conscious adventures, while testing his personal limits and the limits of current technology.